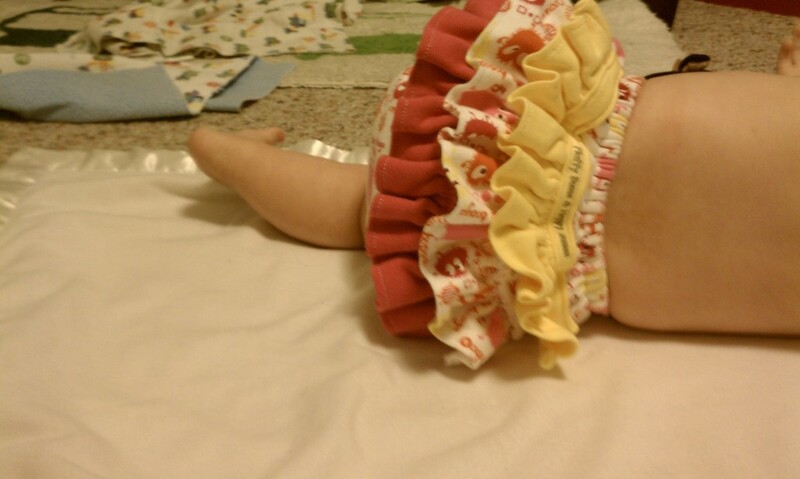 Baby is just learning how to roll over! 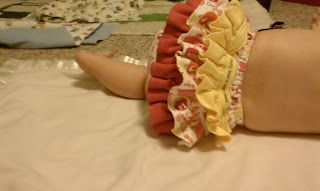 Also, I couldn't resist posting some action shots of my Hot Pink Ooga Booga AI2 with Fluffles (ruffles) diaper from "Fluffy Bums and Happy Mums" (who may still have a few customs spots open). Who doesn't love a fluffy bum?